Ron Mahurin brings 35 years of higher education experience in a variety of leadership, teaching, administrative and consulting roles. Following a teaching career (International Relations) at two private colleges, Ron began a journey into higher education administration and leadership as a director for corporate and foundation relations, a vice-president for the Council for Christian Colleges & Universities (Washington, DC), vice-president for academic affairs at Houghton College (NY), and vice-president for strategy and planning at Stamats (IA). "Combining over 30 years of administration, teaching, professional development, leadership and non-profit management experience at the university/college campuses across the nation, Dr. Ron Mahurin brings a wealth of practical knowledge to both individuals and institutions seeking to more effectively direct limited resources to strategic goals and tactical priorities." "I have worked with Ron Mahurin for over 25 years in various capacities. His expertise in leadership development, strategic planning, and navigating the challenges of Higher Education have helped me as a leader and strengthened my institutions. Ron excels at bringing together various constituents to solve complex problems, strengthen existing programs, and plan dynamic futures. He is a well-respected consultant and leader with proven results working with hundreds of institutions, large and small, public and private." "Ron directed us to design and implement a positioning study that helped our community develop a shared understanding of the assets and attributes that were most valued by our prospective students and families. He managed the study design and implementation flawlessly and also helped us to negotiate the many conversations with constituents that were necessary to build trust and credibility for both the study and its strategic use. It was truly a pleasure to work with and learn from him." "I have had the opportunity to work with Ron Mahurin over the years on several projects in higher education. 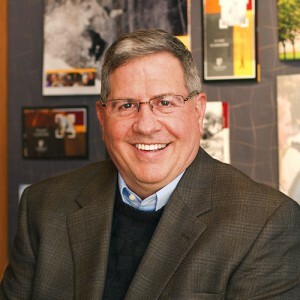 Whether it was planning a program of leadership development, developing a co-presentation to be delivered at a professional conference, or discussing critical issues facing higher education, Ron has demonstrated a remarkable capacity for listening and understanding the needs and desires of those with whom he works. Ron values others, seeks out diverse perspectives, and models inclusion. His many years of practical experience and grasp of the complexities of the current higher education landscape qualify him as a leading consultant and I highly recommend him!"